Rent a private jet for a charter flight to Pamplona, capital of Navarre and host of the world-famous San Fermin festival. Whether you’re booking a private flight to run with the bulls or to conduct business in Spain’s Navarre region, our team has access to thousands of Wyvern-certified private aircraft and can book the ideal aircraft for your trip. Jet Charter Europe believes in providing private flyers with a one-on-one consultative service experience that exceeds every expectation. Your time, privacy, flight preferences and most of all, safety, are our top priorities, and our private air charter representatives are available for you by phone and email 24 hours a day, 7 days a week. When using our service, you can expect quick response times and an easy, hassle-free booking process. Request a quote or call us today and arrange your private charter flight to Pamplona, Spain. Book a private luxury flight to Pamplona, the capital of northern Spain’s Navarre province. Known throughout the world for the Running of the Bulls, the city is also a major stop along the medieval-era pilgrimage route “Camino de Santiago”, and home to fortress-like Gothic churches such as San Nicolás. 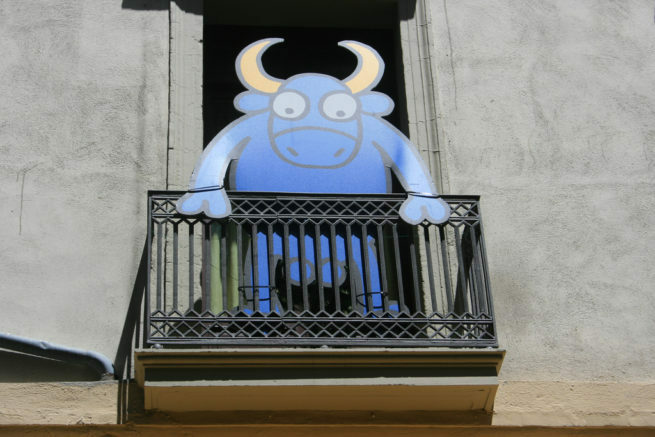 Pamplona offers many hotel options for luxury vacations, getaways, business trips, and special events. We’ve put together the following list of luxury hotels based on many factors including Jet Charter Europe passenger feedback, location, amenities, and online reviews. Once arriving in Spain via luxury private jet, our Pamplona Jet Charter service brokers can also arrange ground transportation to/from the hotel of your choice. Pamplona was the capital of Navarre until 1512, when Ferdinand V united Navarre with Castile. The city is still surrounded by walls and fortifications and retains its 15th century Gothic cathedral, The Royal Saint Mary. 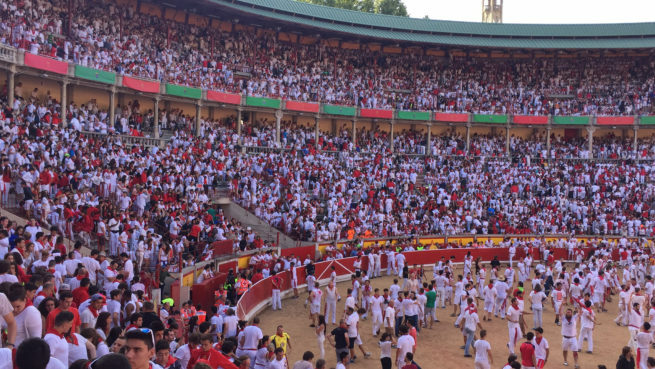 Pamplona is best known for the Running of the Bulls (Fiesta de San Fermín), a legendary multi-day summer festival where bulls chase daredevil runners through the streets. 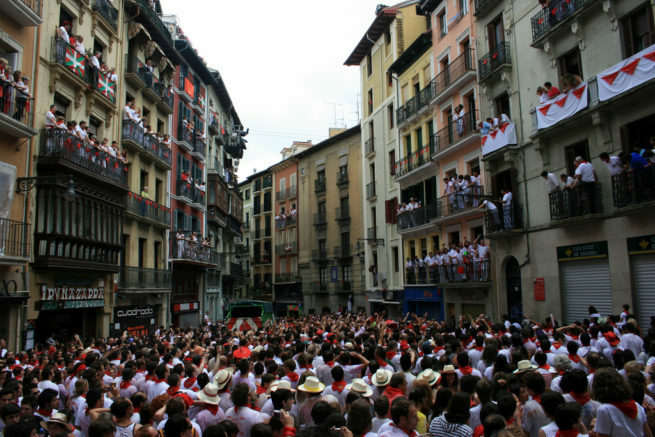 The celebration of the feast of San Fermin, described by Hemingway in “The Sun Also Rises”, marks the beginning of the celebration on July 6th. The festival takes place during the busiest travel and tourist season, so if you’re looking to avoid the crowd, any time outside of July is essentially off-season. Check out more of our recommendations for luxury private jet travelers staying in Pamplona, Spain. Jet Charter Europe utilizes the following airport to fly clients privately to/from Pamplona, Spain and neighboring areas. Request a Quote or give us a call at 1-888-987-5387 to speak with one of our Pamplona Private Jet Charter service brokers for your next luxury vacation, business trip, or special event.